At Doors Plus we are committed to providing our customers with a 'no fuss' experience. We have our qualified staff on hand 7 days a week to assist you with choosing the right products for your home. Doors Plus has been supplying top quality doors to Australian homes for over twenty years. We continue to expand our range to include the current trends and use the latest technology. 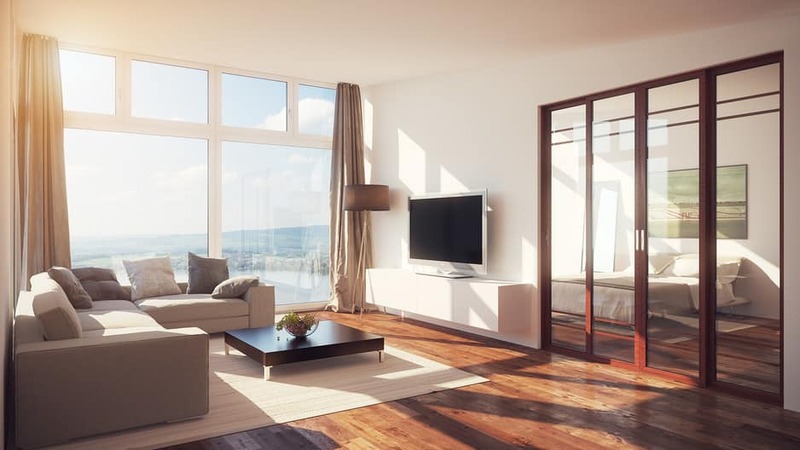 Having quality products in your home that look great is very important, at Doors Plus, our products will not only look great in your home, but they offer a wider range of benefits such as reducing your heating costs, increasing home security and in many cases raise the value of your property. When you visit our showrooms you will find an extensive range of products on display. We have internal and external doors in a variety of styles, sizes and finishes suiting all decors. Come in and see our working displays that include hinged doors, sliding doors, wardrobe doors, bi-folds and room dividers. There are doors that can be stained and doors that can be painted. We also have a large range of doors that are supplied pre finished, so you don't have to paint the door, saving you time and money. All of the glazed doors in our range feature Doors Plus Safe-GlassTM which is up to 500% stronger than ordinary glass and if broken with extreme force, the glass will break into small harmless granules rather than large shards of dangerous glass, the security and wellbeing of your family is important to us. Also provided at no extra cost to you is Paint'n'Peel. The protective film is placed over the glass, so there is no need for you to mask up the door prior to painting. Simply paint, trim and then peel the protective film off the glass. “At Door Plus, we take the fuss out of finishing your doors.” Or so we thought! Disappointed to discover our beautiful white doors are NOT white!!! Not really living up to brand promises at all! May I suggest if you’re after a white door ask to take a sample home before committing. If you’re after a greyish/beige door, you’ll not be disappointed. Thanks for your awesome feedback! Richard at Brookvale Doors Plus was very pleasant to deal with and worked hard to provide a competitive quote for some high quality doors. He went out of his way to help us meet a tight budget & happily gave us his time to ensure we had a great customer experience. Few salespeople bother to look after customers as well as Richard looked after us. We appreciate it! I have just purchased 2 doors from the Brookvale store on 2 different occasions and the salesmen were so helpfull on both times and even helped me load the doors. On the other hand when i phoned Castle Hill showroom on there 1300 number, i was given the cold shoulder and the salesman on the phone was rude to me and he hung up on me. Well it just goes to show that some salesmen want their job and others don't. Good on you both at Brookvale for a job well done. I will be back soon. Thanks for the review. No Fuss! Great experience from ordering to instalation thanks to chev and staff and Paul the installer. Hello Robynstuart, Thankyou for leaving a review. No Fuss!